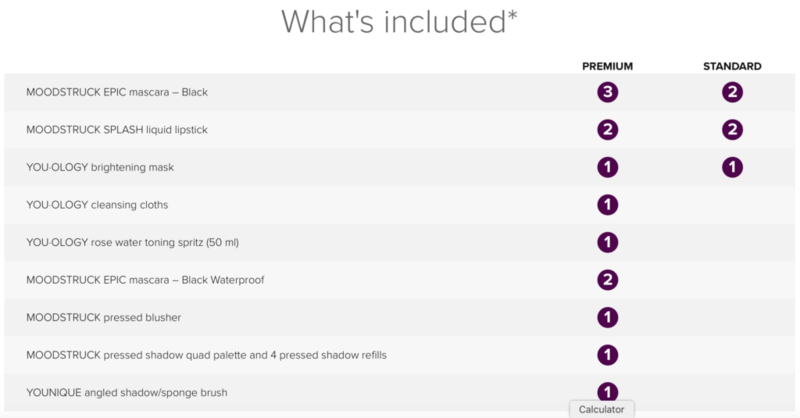 Younique now offers 2 Presenter’s Kit Choices to help you get started. Learn more about what each kit has to offer. Financing available if needed. Join Younique as a presenter (consultant) and start sharing and selling our amazing products! Find information about becoming a Younique Presenter and answers to frequently asked questions below! Along with the kit, after you join you can also purchase a booster bundle for a limited time!! Hi! I’m Audrey Holliday Purple Status Presenter, I’d Love to Have You Join My Team! Read My FAQ Below! Q. How much does it cost to join Younique? A. There is a one time cost of $99 US ($119 Canada/ £ 69 UK / $129 Australia/ $139 New Zealand) for your presenter’s kit that comes loaded with our amazing full size products including our mascara! Q. Are there any website fees? A. No, there are never any website fees, monthly fees or autoships. Your Younique presenter’s kit purchase includes your website for life! Q. How much do I have to sell to be active? A. To be considered active you need $125 US (or your country’s equivalent) in sales in a rolling 3 month period. These sales include any of your personal product orders, party orders or regular retail orders through your website. Selling just 2 mascaras every month will keep you on track. Q. I’ve never sold anything, what if I can’t sell Younique or change my mind? A. Our products are very easy to sell so even brand new direct sellers have seen great success with our company. If you decide you do not want to sell Younique anymore there is no penalty or contract and the kit is your’s to keep! A. Every new presenter starts out at 20% commission on all sales, once you have reached $1000 in total lifetime sales you will then earn 25% commission. A. Payments for sales are sent 3 hours later to a Younique branded prepaid Visa card. You can access your money immediately with the card or transfer funds to your bank account. You will receive your card for free once you have reached $50 in commission. Funds can still be transferred to your bank prior to receiving your card. Q. Is there training and support? A. Younique is a company focused on empowering and uplifting women. There will always be support and training for every presenter who joins my team via Facebook, email or phone. You will have my help as well as the support from many amazing women in our upline and on our team. A. Click the register button below to be taken to the enrollment page where you can purchase your kit and get started! !